The following message was received from Elizabeth OlivÃ¡rez on March 10, 2004. "I was interested in your site, because one of my very best friends, Alice (Waddill) Barnum, died Monday March 8, 2004 in Denver, Colorado. She was 94. I know that she had one son, with whom I am in contact. 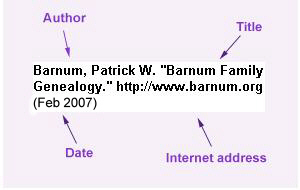 He is named K. Dorsey Barnum and Alice was married to a physician. I do not know his name and so thought that perhaps it was Kenneth Raymond Barnum. Alice will be cremated in Colorado and buried in Sedalia, Missouri. She was sweet, classy, very bright, and humble, did not even want a service to honor her memory. But in our hearts, she is big. She was my teacher's aid when I taught Headstart classes in the 60s but in reality I learned more from her." Obituary from the Sedalia Democrat, Sedalia, Missouri (Tuesday, May 11, 2004): Alice L. Barnum, 1908-2004, Denver. Alice Lee Barnum, 96, of Denver, formerly of Sedalia, died Monday, March 8, 2004. She was born Jan. 20, 1908, in Pond Creek, Okla., a daughter of Dr. Alexander T. and Doris A. Matthews Waddill. In 1929, she was married to Dr. Kenneth R. Barnum, who died in 1956. Mrs. Barnum spent much of her youth in Sedalia with her grandparents, Edwin R. and Alice L. Matthews. Mr. Matthews owned the Antlers Hotel near the train station. She grew up in Sedalia, Moberly and Monroe City, where her father had veterinary practices. She attended Lindenwood College in Saint Charles. She later lived in Kansas City. Surviving are a son, K. Dorsey Barnum, of Denver; four granddaughters and four great-grandchildren. Burial will be Saturday in Crown Hill Cemetery.